The world is so big that I want to have a look!! but don'tlet your family forget that you love them. 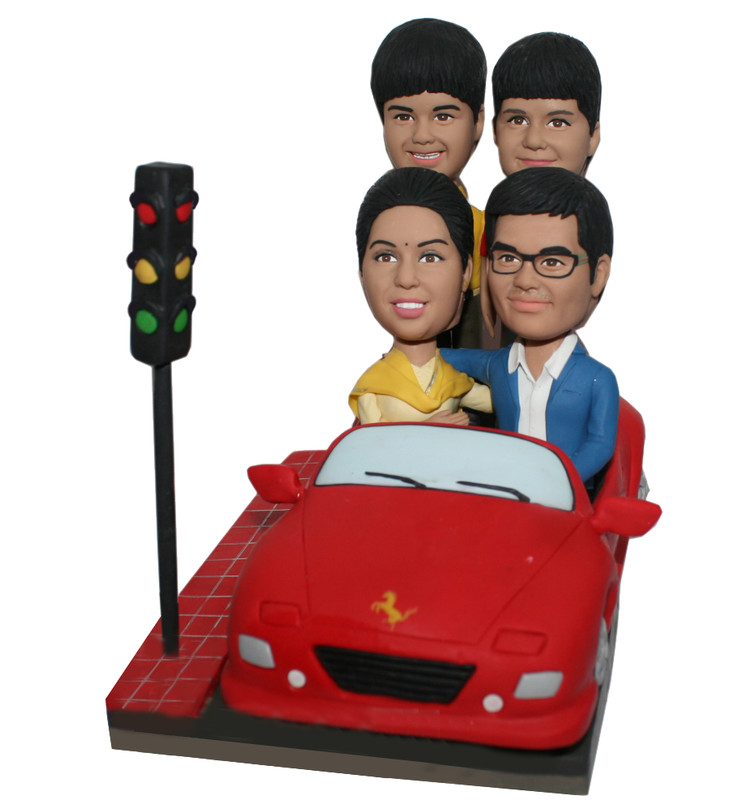 This custom bobble head dolls that will depict you in a business suit driving a car taking your wife and your two lovely sons stand at the back of the car will be cherished for a long time! Looking for a special gift for your special beloved? This custom bobblehead is perfect to resemble his/her smiling face. 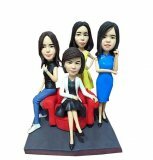 Just upload your photo(s), the topbobble artists will capture the distinguishing characteristics and craft the details carefully to create a tangible memory. 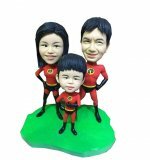 Custom Superhero Family Bobbleheads For Sale.